You can drive through the desert. Air conditioned. And it will be like an image plastered on a concrete wall. If you want to feel the desert you have to walk it. The slow change of the horizon in the flat, or the quick change of shapes when going through mountains. Over a hundred years ago someone tried to get rich here. 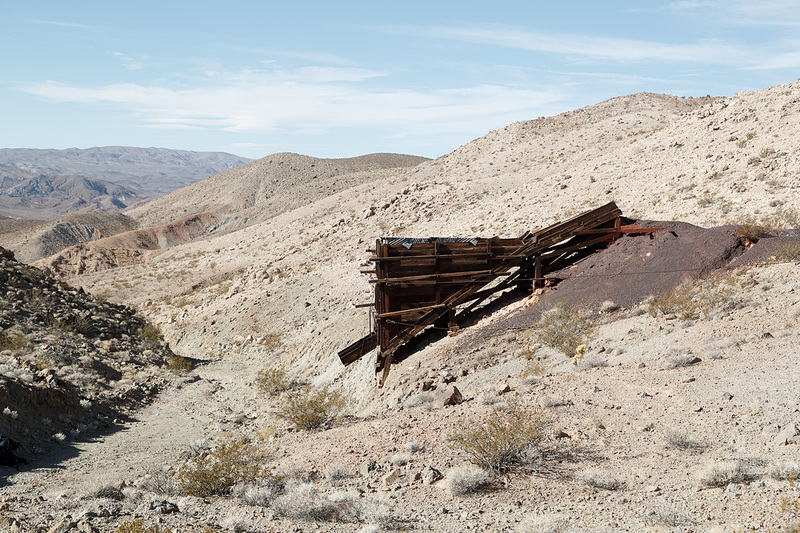 This is the monument of his trials: an old mining building in the middle of the Death Valley desert. It has taken on the shape of the desert, become a part of it.